I found this at the Wal Mart in Anderson, IN. 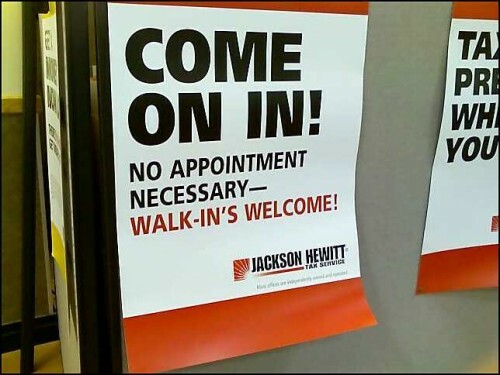 If Jackson Hewitt can't even use apostrophes properly, should they be trusted to figure a person's taxes? I actually think this is an acceptable use. If the term you’re using might be unfamiliar to even one member of your target audience, the apostrophe may provide a crucial disambiguation.